Sophisticated style is evident in every curve of the 2017 Honda CR-V LX. As a modern crossover, this model offers the perfect combination of versatility, comfort, style, and spaciousness for families. Thanks to incredible performance and efficiency, the SUV meets your needs, so be prepared to enjoy the driving experience as never before. 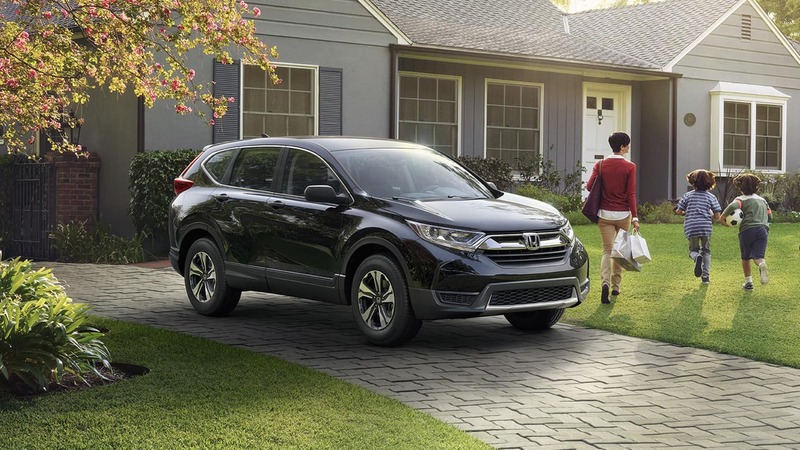 The 2017 Honda CR-V LX is perfect for the 20-something on the go, or for the family of five who loves every adventure. 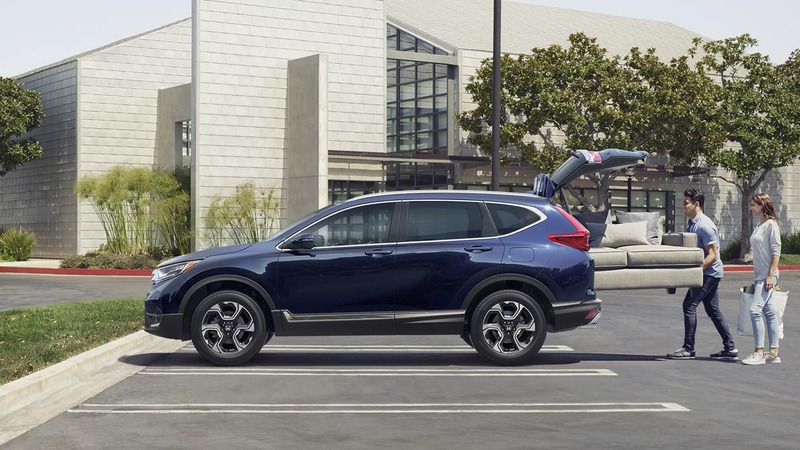 No matter who you are, the CR-V LX will tick off all the boxes you could possibly want in your new car. Find out more about the 2017 Honda CR-V LX for sale in Fontana, CA when you visit Rock Honda. See what’s available when you check out our 2017 Honda CR-V LX inventory near San Bernardino, CA. If you are a resident in the Inland Empire or live near Rancho Cucamonga, CA, you are sure to find a good deal for your needs. Come in today and test drive a 2017 Honda CR-V LX near San Bernardino, CA. Like nothing else on the road, the 2017 Honda CR-V LX offers a distinct look that is stylish and sophisticated. Unique headlights and taillights stand out at night while sporty panels showcase the athletic appearance of this model. 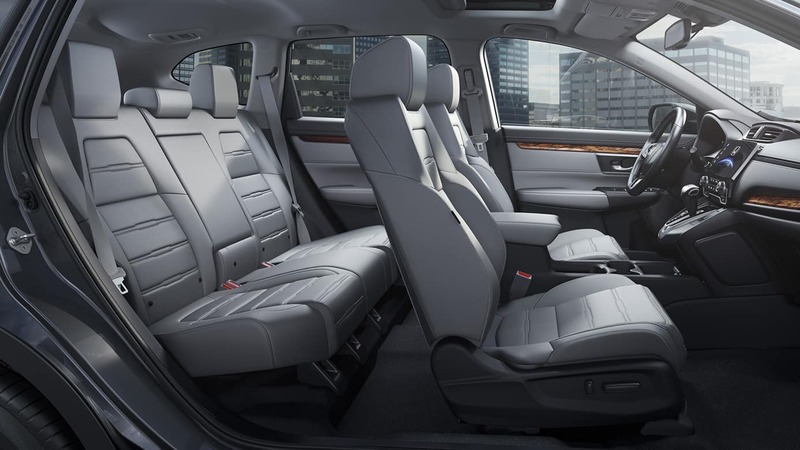 Enjoy a refined space with premium materials such as leather-trimmed seats and a leather-wrapped steering wheel. Ample storage space ensures you have room to bring all your stuff. Relax in the six-way driver seat while you set the automatic climate control to the ideal setting. You can always stay connected with the ones you love thanks to the Bluetooth® hands-free connectivity while streaming audio lets you play your favorite tunes. The crossover is compatible with Pandora® to give you even more options for entertainment. Feel confident behind the wheel of the 2017 Honda CR-V LX with the latest safety systems in place. Trust the antilock brakes with electronic brake distribution when you need to stop while the multi-angle rearview camera helps you back out of tight spaces. Enjoy premium power with a four-cylinder engine that provides efficiency with 184 horsepower and 180 lb.-ft. of torque. With the Eco-Assist™ system, you can save even more on fuel as you travel. Features like hill start assist enhance the ability to drive smoothly and with no problems. If you want comfortable luxury and efficient performance, you’ve found the right vehicle. Check it out at Rock Honda when you come in to see the 2017 Honda CR-V LX in Fontana, CA. Make it yours today!